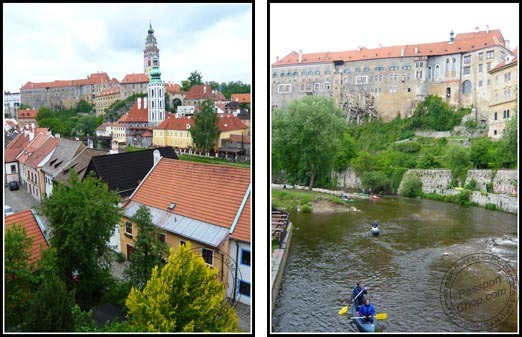 Český Krumlov is best known for the fine architecture and art of the historic old town (also designated as an UNESCO World Heritage Site) as well as the experience of rafting along the Vltava River. However the weather was too cold then so we didn’t try the rafting. There are many routes offered by rafting companies (e.g. Malecek) ranging from short ones around Cesky Krumlov (2km in approx 1 hour) to rafting trips to Borsov (35km and takes about 6-8 hours). The price will depend on your route and number of people in each raft. Cheapest was approx. 550 CZK for a 3-4 person raft and includes boat, equipment, map and transport. To keep your valuables (e.g. camera) from getting wet, each raft is equipped with a large watertight container. 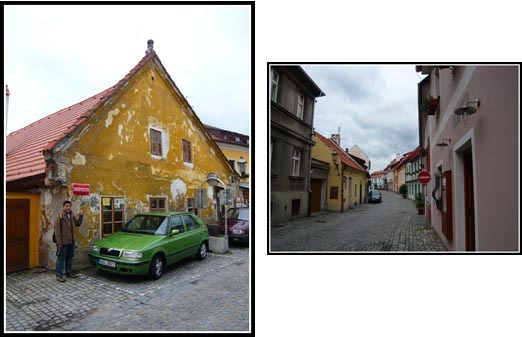 Walking around Cesky Krumlov, you will find lots of such small, dilapidated-looking houses. These houses has a history of more than 500 years old. Due to the city’s UNESCO status, owners are not allowed to make renovations that may result in the facade of the house e.g. building an additional room. The city is rather small. It ends at one of these old town gates. 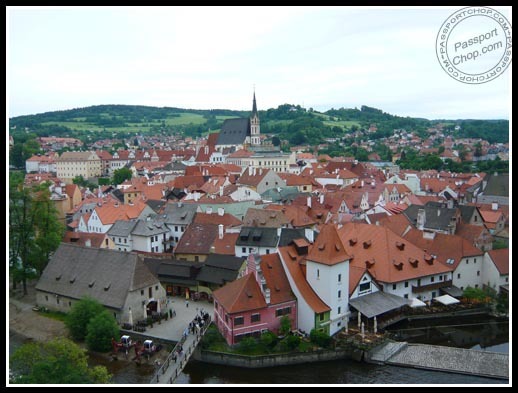 An overview of the Cesky Krumlov town from the castle complex. Looks like towns that you see only in fairy tales right? 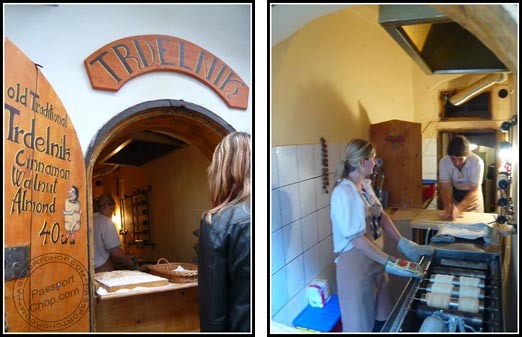 You can also try the Trdelnik, a Czech traditional sweet pastry cake for 40 Kc. It is made from rolled dough, wrapped around a stick then grilled and topped with sugar and walnut mix. A video of how the Trdelnik is made. 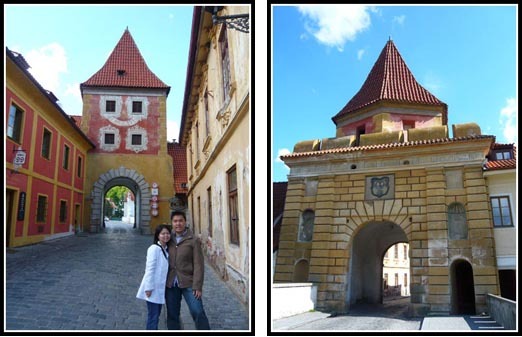 We enjoyed Cesky Krumlov as its laid-back environment offered us a quick pit-stop amid our packed and exciting itinerary around Central Europe. I only visited Prague, but not Cesky. My friend said it’s nicer than Prague, is it? Really miss Europe, miss the alps, miss the pastries! 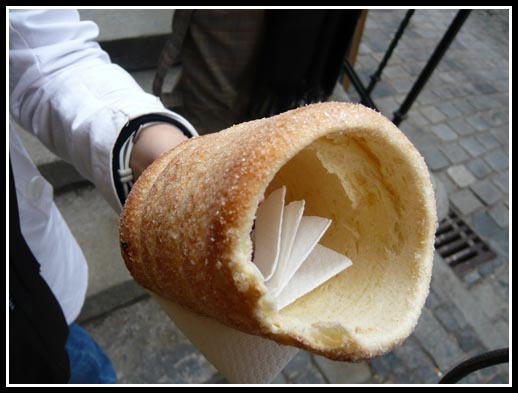 I wish my breakfast for today is Trdelnik…. 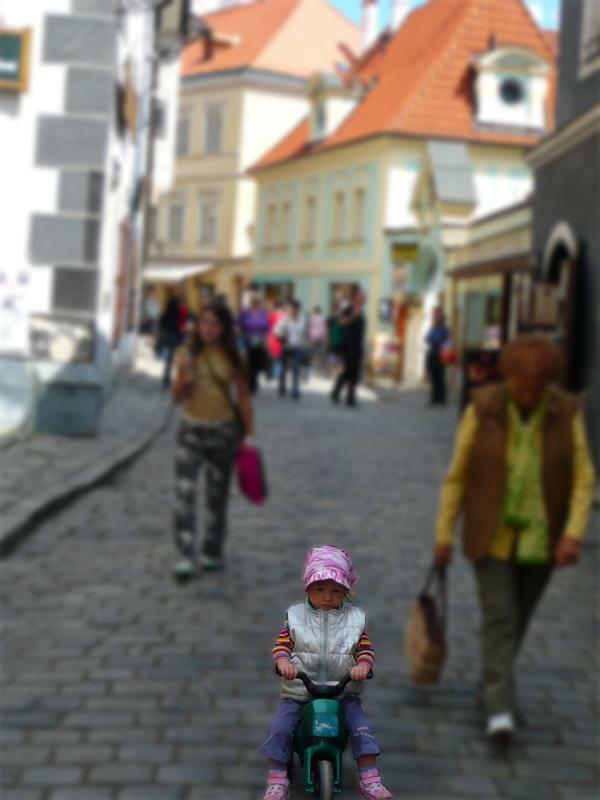 Cesky Krumlov is definitely nicer but not as much things to do compared to Prague. It is just one of those rare towns that had preserved their medieval architecture and not as commercialised.